This series has been on my lists for years, years I tell you! I don't know why I waited so long to start this one. I finally did and it's amazing! I have enjoyed some of King's writing and this one seems to be the kind of King that I enjoy. We get a big world(s), some spooky happenings, cryptic messages, an antihero, a villain, an audience connection point, and plenty of atmosphere. The first book isn't super long, but even then, I sped through it in two days. 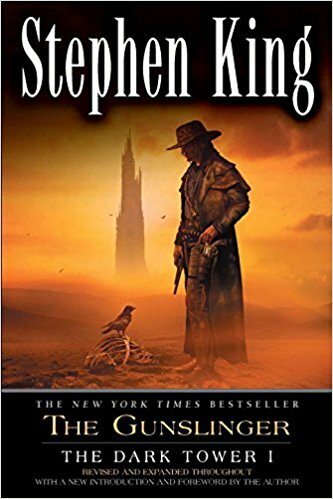 I just couldn't stop myself from reading about The Gunslinger's walk getting him closer and closer to the man in black... On to the next book soon!